Amazon is expected to evenly divide its pledged 50,000 new jobs between the new offices, according to the Wall Street Journal, which first reported the news. After more than a year-long, high-profile evaluation of more than 230 contenders, online retail giant Amazon has chosen two locations for its second and third North American headquarters — New York City and Northern Virginia — according to reports. Amazon is expected to make the announcement that it has selected Long Island City in Queens and Crystal City in Arlington County, Virginia, as early as Tuesday, according to the Wall Street Journal, which was first to report the news citing anonymous sources. NBC News reported last week that Amazon had decided to split its sought-after office location between two cities. Amazon's pledged 50,000 new jobs will be divided evenly between the two cities, the Journal reported. It's not clear how Amazon will split its estimated $5 billion in spending to build a campus comparable to its original Seattle home base. The company also said that it expects construction and operation of the so-called HQ2 to create "tens of thousands of additional jobs and tens of billions of dollars in additional investment in the surrounding community." Steve Case, the former chief executive officer of AOL applauded the choice on Instagram, saying "Amazon's announcement is a win not just for VA, but for the entire greater DC region." But immediate praise was not universal. Alexandria Ocasio-Cortez, the newly elected House representative for the Bronx-Queens area, tweeted that she's been getting calls from area residents who are outraged. "Amazon is a billion-dollar company. The idea that it will receive hundreds of millions of dollars in tax breaks at a time when our subway is crumbling and our communities need MORE investment, not less, is extremely concerning to residents here," Ocasio-Cortez tweeted. She added in that the promise of bringing jobs to the community needs to be closely examined. "Has the company promised to hire in the existing community? - What's the quality of jobs + how many are promised? Are these jobs low-wage or high wage? Are there benefits? Can people collectively bargain?" she wrote in another tweet. 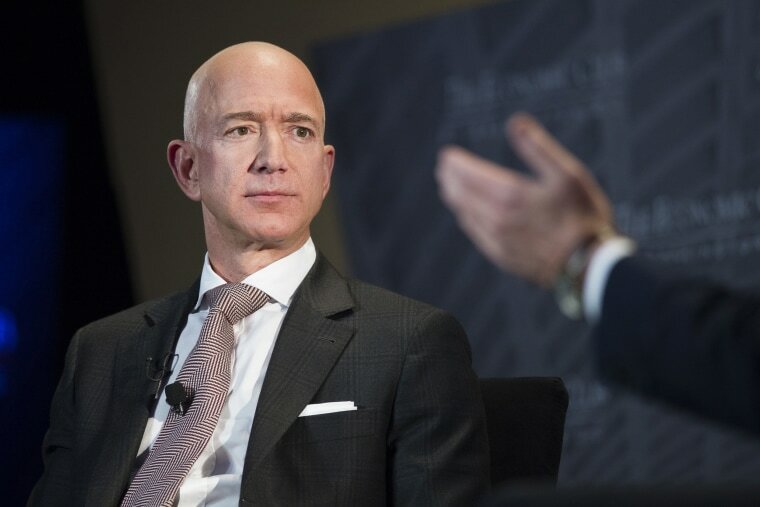 After announcing that it was looking a new location for its second headquarters in September 2017, Amazon received applications from 238 cities. It narrowed the list to 20 finalists in January. The two cities faced tough competition but managed to beat out contenders like Chicago, Dallas, and Los Angeles to win the highly coveted bid.